On June 5th a showcase of the Sydney Poverty Industry called Sydney Homeless Connect will roll out its annual Roadshow at the Sydney Town Hall. For what many regard as “Charities” and “Not For Profits” – organisations which represent themselves to a caring but gullible public and a cynical but cooperative government as “providing homelessness services” – Sydney Homeless Connect is an annual Fishing Competition with the aim being to entrap as many homeless as possible in a cycle of being shuffled from one marginalisation industry monetiser to the other -to drive revenues for the industry participants. Sydney Homeless call on the Federal Government to immediately cease funding the disastrous inefficient failed $600 million a year “The Road Home” Program which aims to spend $6.6billion in ten years to halve homelessness -from a completely unquantified index figure. In the about two and a half years since The Road Home was launched Homeless numbers in Sydney City have increased dramatically, despite a flawed Homeless Street Count Methodology. From the outset of the Programs rollout in Sydney City service providers prioritised mental health clients who had recently been tossed out of the Mental Health System – The Federal Government then used The Road Home, a 10 year $600 million a year Homelessness spend, to house those chronic mental health sufferers and claim a reduction in Health budget spending. Under the Road Home, the Supported Accommodation Assistance Program (SAAP) heavily resources NGOs to provide mandatory “support services” of highly questionable value to clients. Services include much “counselling” and “training” which in practice burden clients with time and travel commitments and merely lead from one of these monetisation processes to the next – Monetising the marginalised. Under The Road Home qualified Real Estate Agents are also able to raise rents on low quality slum properties to the maximum level Government will pay, while subsidising ex homeless clients. In effect this componemt of The Road Home actually raises rents of private properties. By doing so the Road Home becomes a driver raising the bar of Housing cost. Sydney Homeless will Rally in Town Hall Square to Protest the Sydney Homeless Connect event to Protest this calculated waste of billions of taxpayers dollars and call for an end to The Road Home. The $600 million a year saved could be used maintaining single parents in their full time capacity as carers , a $700million cut in the Federal Budget. This past week serial preyer on marginalised people Mission Australia’s Missionbeat unit, assisted an organisation we’ve never heard of,Mercy Foundation, to conduct a “survey” of Sydney “Rough sleepers”. The City of Sydney usually have some involvement also. We were highly amused at the results as published Nov 3. 262 “known homeless” in Sydney.Our current rough sleepers far exceed 500. This has a lot to do with the “Surveyors” methodology. Many “night-sleeping” rough sleepers are “mobile” by 0430 hrs, when they started their count. But most of the elderly rough sleepers and many aged 14-25 sleep during the day. In addition, we admit warning many NOT to co-operate with the survey because the benefits will flow to the government and NGOs while mere scraps are doled out to our community. We were less than amused with the “researchers” methodologies, so checked out perpetrators.The Mercy Foundation website indicates that they are a “Grants” awarding body of the Catholic Church who,in 2008,decided to become involved in “homelessness”.Right about when the federal government were formulating their huge waste of taxpayers money for their “The Road Home” disaster.We don’t know if Mercy Foundation co-ordinated this survey Australia wide, or how much they were paid to do it. They were assisted by long term business masquerading as a charity and Serco wannabe Mission Australia – who have organised the past two “Rough Sleeper counts” and we suspect been instrumental in Police visiting those campsites and sleeper locations about a fortnight later, moving many on in defiance of the NSW Homeless Protocol But you can bet the survey will be carefully massaged to further use rough sleepers as tokens to collect tax and corporate dollars with -to be spent on NGO infrastructure, staff “research” and “consulting” needs. Not only did they have the temerity to deprive those who wanted to of appropriate sleep by “waking them up”, these gung ho, unqualified intruders took photos. Consent given when the subject has just woken up does NOT constitute informed consent. The final insult is the $10 “payment” made to Rough Sleeper respondents-for three successive nights of invasive prying. Our inquiries revealed that the standard payment rate for survey completion in a face to face setting ranges from $30 to $150. These researchers, typical of the Poverty industry, chose to undervalue homeless people again -as is the norm of their profiteering business model. As none of the listed organisations is noted for its research quality, we called two well known pollsters and a supporter, a mathematician and statistician who happens to lecture in research methodologies. None were able to hazard a guess as to what part photos may play in genuine statistical research. I then asked how useful various government agencies including police and immigration might find photos in an effort to deduce a logical and ethical reason for these ‘researchers” taking photos. In each case my question was met with a darkened acknowledgement that there were “other government” opportunities but all stated that such collection methods, while not illegal, were most certainly unethical. The point was also raised that these photos could be used as fundraising and promotional material by the various agencies who are aligned with this project. The Sydney Morning Herald quoted the perpetrators of this “Survey” as saying “Unlike the common public perception, most homeless people do not want to be homeless.” In our experience and with our broad base of over 5000 contacts we asked -and the response was 100% that they DO NOT see homeless people as “wanting to be homeless.” While we agree as but a few say they “choose to be homeless whatever the options,” this does not mean that any form of accommodation is an acceptable “solution.” Unaddressed is “How many will remain homeless in preference to living in Supported Accommodation Assisted Program Housing” with its onerous case management structures attached.How many are unwilling to cling to the flimsy thread of short 6 monthly leases, to be flung out at the whim of a gung ho realtor or greedy landlord? In Australia,by agreement between the Poverty Industry and government SAAP is the major gateway to public housing and involves an invasive (and for the taxpayer expensive) case management service whose role is to find out how many government departments and NGOs might be able to use this person as tokens to collect further copious amounts of public money for themselves or their employer. While some homeless people identify some of the “services” as useful, many do not-in fact regarding them as draconian obligations. Also unaddressed is Rough Sleepers correct perceptions of the onerous extra obligations placed on Social Housing Tenants by State Labor driven modifications to the NSW Residential Tenancies Act 1987 -placing obligations on Social Housing Tenants which other tenants do not have and giving the Marie Antoinette and aboriginal embarassment of NSW Politics Linda Burneys Housing NSW powers which other landlords do not enjoy. For me personally, I will not faithfully report each and every person who stays at my house to Housing -or anyone else.Either I pay and control the property, or I don’t pay-simple. There is an adage which states that communities with excesses of wealth generally also have excesses of poverty. My past sojourns around the world took me to some of the most unlikely places… places not on the conventional tourist map. Places like Manlia’s Smoky Mountain , The Bullrings in Liverpool UK , and The Valley of the Dead in Sao Paulo, Brazil. At Smoky Mountain one saw generations of families who lived by scavenging in the rubbish tips, at a time when Phillipine President Marcos wife Imelda had a virtual Louis Voutton waehouse of shoes. As rising retail and housing prices career away ahead of the real average income (not the median income government keep quoting, which lumps the Likes of Macquarie Millionaires salaries (up to $25m pa) in with minimum adult wage earners paltry $570 per week wageslavery income (gross,before tax). Despite the apparent stall (is it the stall before the fall?) in Australian Q3 residential property price increases, there is no apparent decline in rent escalations. Housing affordability is not part of current federal or state government priority. Nor, despite the rhetoric the priority of any senior management in any government or Not for Profit “Housing” or “Homelessness” related sphere.While politicians may make the occasioal whimper about homelessness , housing marginalisation and the attendant societal side issues they are extremely conscious of the multi billion dollar “poverty industry -government” co dependency complex with each party ensuring that “the problem” remains unsolved, and their revenue streams of Taxpayer Gold remain intact. Why would you do anything which put a sunset clause on your funding?? There have been many Social Service provider consultative processes where government has paid close attention to the advisements of those who benefit most from Housing Marginalisation. Government contract service providers. Yet without exception, the resulting recommendations taken up by State and Federal Governments has produced a domino deck of progressive failures -at the ever increasing expense of the unconsulted and uninformed taxpayer. The current “The Road Home” is a bicycle determinedly ridden by its proponents-yet it does nothing to either end homelessness nor turn off the tap. The Road Home has a core policy flaw which many rough sleepers reject outright. The expensive (for taxpayers) case management role which, put another way, allows government contractors to spy on tenants. There is also the very real possibility confirmed to us by some Real Estate agents- with substantial rent rolls- that “The Road Home” and its State spinoffs are in fact driving rental prices higher. Agents can easily manipulate rental rates to ensure the poorest condition properties in an area are rented securely to State Government at area premium rental rates. @SydneyHomeless End Homelessness Challenge : If you’re NOT doing ALL these things,you’re not really about ending Homelessness. Right to erect shelter; Where there is a clear shortage of affordable appropriate acceptable housing, determined by the number of rough sleepers in the area, those persons should have the inalienable right to erect and occupy shelter-on any or appropriately located designated public land.Right to occupy until appropriate affordable and agreeable conventional accommodation is found. Raise Basic Incomes & Invoke 5 year rent freeze. Modify Property rental laws to ensure minimum tenancy terms of 2 years, instead of the current 6 months. Make 1st Home Buyer Loans more affordable with a compulsory percentage of Bank Loans supporting fixed interest 1st Home Buyers, and property investor loans less attractive. Management of Local Body area Residential Housing Stocks according to workforce required in the relevant postcode, with rental/occupancy value as percentage of income. All property developments to include a 4% social housing component,with housing to be managed by Local Body Authority. Lobby all levels of government to make this a reality. Case Management may be optional but should NOT be a necessary component of accessing Social Housing. As NSW Government super department Human Services seeks to micromanage the lives of marginalised families and communities for Australian & NSW Governments capitalist ideal -the Wageslave Farm, the ripoffs of your taxpayers dollar continue unabated from the leaky sieve of NSW Governance. HousingNSW is the States biggest residential property landlord (by residential properties leased) and now,it seems, HousingNSW is also the States largest residential tenant. We’ve been aware of the distance between both Federal and State budget appropriation figures for social housing – huge budgets, which shrink inexplicably when measured against the actual social housing incomes. Inexplicably if one uses prevailing market prices as guidance of housing unit acquisition. But the Treasury geniuses in Canberra and MacQuarrie St are no longer just buying properties, in their ingenuity, they have decided to burden taxpayers for the longer term with recurrent rental arrangements -arrangements which are sure to drive residential property prices ever skyward as the ever greedy investors continue to buy borderline habitable properties to rent for maximum market rental to the gullible minions of NSWHousing. 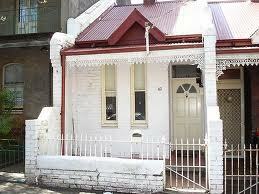 NSW Housing have selected realtors in a closed market arrangement, as area providers of rental properties. These realtors are supposed to charge NSWHousing “80% of market rent” but with no quantification of a formula by which to calculate market rent.Simple.Property “real” market rent is $450 per week. Agency advertises property for rent at $650,minus 20%, thats $520 per week- an actual $70 above market payment. All available rental properties in an area should be considered, not just the stock held by one,or a particular group of realtors.This would include direct owner-to-department rentals. Properties would be selected on the basis of value as HousingNSW needs to accumulate stock. A price cap per area would be applied on the basis of property configuration,and the last months rentals across the area (based on security bond lodgements).Rental would be 80% of that figure. All properties to be pre-inspected professionally for health safety and maintenance compliance. Following confidential discussions with a current realtor employee, we can say that this agent consistently engages in this pricing duplicity.This agent even has a related party purchase properties which are on-sold within months on to grateful new investors,at a reasonable profit to the realtor related parties. On the basis of rents notified to tenants, cross referenced to Real Estate .com.au and Domain.com.au , we have found that actual rents paid by the department are consistently higher than the average for the area -not the “80% pf market value we are led to believe” and the properties we visited are invariably below average in appearance, badly located,and sometimes badly maintained compared to the area norm.Of the 48 properties used in our sample,just two,in the Newcastle area appeared at below “market rental.” A further online archive search of the properties concerned showed that many properties leased for $100 or more per week less a mere 6 months previously.1 property was rented to House-O for $220 more than last advertised. Our concern is for the gross waste of taxpayers funds,and also that those funds could buy much better value, while not driving private housing purchase and rental affordability beyond the reach of even workers and working families. HousingNSW also rents ‘temporary accommodation’. I don’t know whether they actually check the quality liveability or fair pricing of these temporary accommodation solutions, and I’m sure the majority are properly priced and maintained – but some clearly are not. We have had many homeless men and women-even family groups-prefer to sleep on the streets when faced with the unsanitary, unhealthy or illegally dangerous accommodation solutions HousingNSW pro-offer as Temporary emergency accommodation. The ripoff?? $460 per week for a single smelly room which many have walked out of in disgust. Double that if 2 people occupy the room. Redfern NSW. Owned since 2002 by JU’NEE PROPERTIES PTY. LTD. & TIVOLI DEVELOPMENTS PTY. LIMITED,We have received reports concerning this hellhole,which HousingNSW has no qualms in sending junkies and young families to co occupy,since 2003.Its remarkable that none of these people who have complained to us have not complained to HousingNSW,and even more remarkable that, if they had, HousingNSW still persist in sending people there. We are continuing our checks to try to understand more fully the precise relationship between HousingNSW , its officers, The NSW Labor Party and the above identified businesses and their proprietors. The place makes Fawlty Towers look downright respectable and Smoky Mountain look hygenic. As with most p there is no one size fits all solution. There are stakeholders.We need identify whom homelessness is a problem for,and whether their concerns merit consideration. Not all homeless people see homelessness as a problem-some see the lifestyle as a solution.That is their choice. For the majority who are not homeless by choice, their concerns merit consideration. Local bodies, government at all levels and their attendant charities and NGOs claim to be stakeholders. Each must be assessed on the basis of its effectiveness in solving homelessness in a non invasive,homeless driven manner, and separated completely from the equation where they do not do so. Those wishing to provide clip on services unrelated to housing are part of the problem,not part of the solution.They draw resources away from the provision of affordable social housing. Legislation is required placing an onus of social housing delivery on the property development industry and Tax disincentives to invest in residential property,other than for home ownership purposes. This will probably have the short term effect of driving property values downwards;legislation needs to preclude and void possible homeowner foreclosures triggered by devaluation of properties.Pre existing home loans must also be adjusted downwards in value if as expected,prices fall. Equitable Incomes are the cornerstone of exiting marginalisation.They are not achievable when government unreasonably constrains workers from effectively campaigning for livable incomes. legislate 2.5% levy on all property development.In residential or part residential complexes, levy MUST be in residential floorspace, rated on the gross floor area of the development. Commercial & Industrial developments 2.5% levy MUST provide social housing in the postcode where the development occurs-or be retained for social housing if no clients identified for that postcode. State Housing: All social housing units must be available for 90year lease to all tenants. Only Housing purchases to be funded from levy. This cost effective mixture will work for tax payers too.